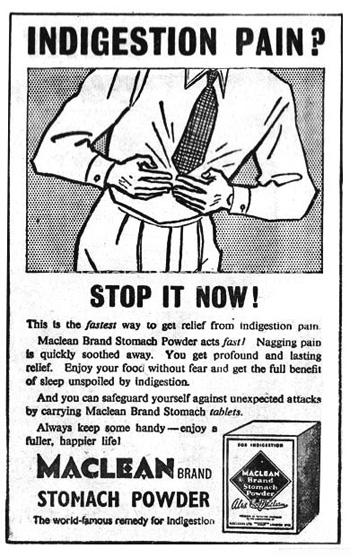 1955 Straits Times advertisement for Maclean Stomach powder. Title: Indigestion Pain? Stop it now!